The Entangled Sky quilt is made entirely out of 2½” strips and is deceptively easy to assemble. All the magic happens with three shades of each color, in light, medium, and dark. Constructed essentially from two different blocks, get a 3D effect by arranging the A and B blocks to meet each other. Achieve a complicated architectural look without all the fussy piecing. 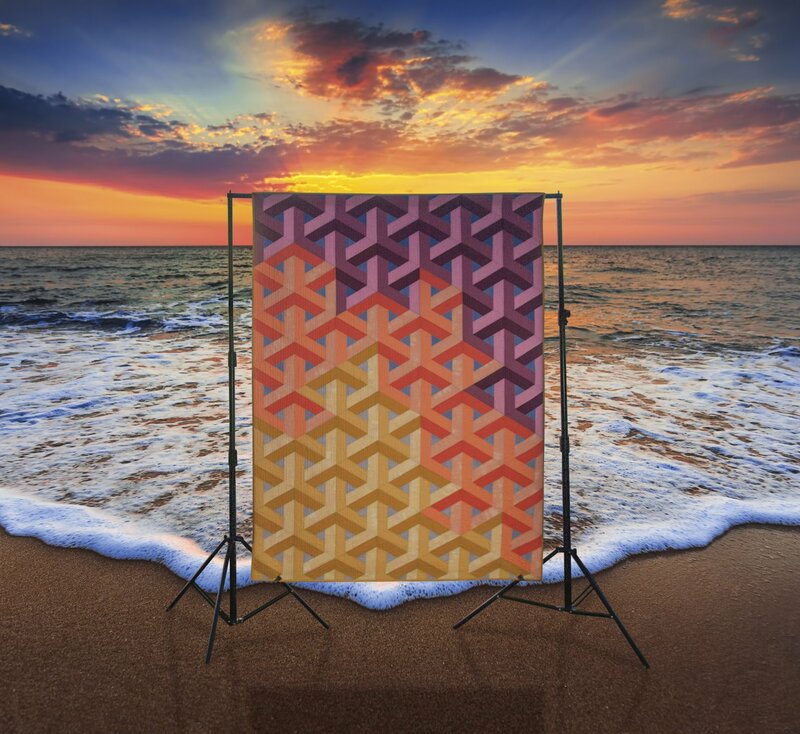 This quilt gets its three-dimensional look by using three shades in the same colorway. It has a little blue triangle in the middle of each block, and by using different shades of blue, it looks like the sky is changing color behind a lattice of geometric clouds. Your pattern is included in the class fee. Krista's classes have a minimum participation of 6 students.